Human Chorionic Gonadotropin, which in short is called HCG, is a hormone that is formed during pregnancy. The embryo inside the womb needs sufficient nutrients so that it can grow and develop properly. HCG hormone ensures that all essential nutrients are supplied to the unborn child. This hormone allows the body to make use of the stored fats inside the body and help provide the food and nourishments needed for the fetus. HCG, when used as drug, is considered safe for the mother and the fetus as it occurs naturally in pregnant women without causing any harm to the mother or growing fetus. But care must be taken that you use this drug in very small doses. HCG is beneficial for stimulating the production of testosterone in men and may also stimulate the growth of cells within the body. Although growing tumors are said to produce HCG, HCG itself is not responsible for causing cancer. Men often use it prevent negative sexual side effects caused due to testosterone injections. HCG diet is a balanced diet. It is a combination of low calorie diet and the drug called human chorionic gonadotropin. It was a physician in London who made this diet popular among pregnant ladies in the 1950s. He believed that HCG might lead to loss of weight and the redistribution of fat from the buttocks and the thigh areas to other parts of the body. The main purpose of this diet is to ensure that you take in only 500 to 800 calories per day and no more. This drastic reduction in calorie may cause a short term weight loss. People who follow this diet may lose weight up to 1 pound per day. 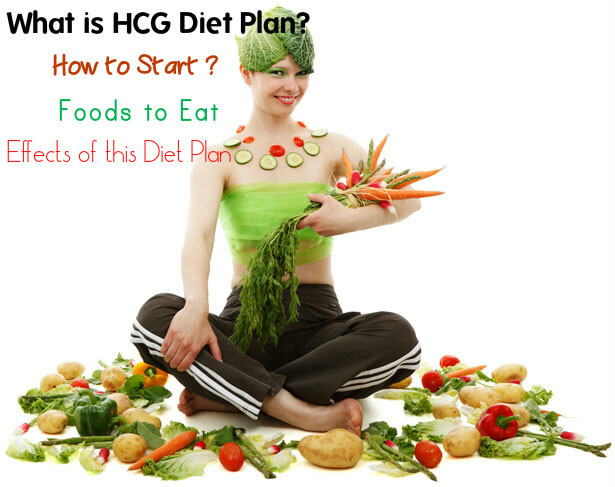 How to Start or Follow the HCG Diet? HCG, being a low calorie diet, is aimed at short term loss of weight by limiting the intake of calories to 5000 calories a day. The success of this diet depends on how loyal you are in restricting your diet to 500 calories per day. By following the HCG menu exactly as it says, you are guaranteed that you will lose weight. To achieve 500 calorie mark, try having 2 servings of vegetables and fruits, 200 grams of lentils and 2 bread sticks per day. You must take care not to consume tea, coffee or any calorie drinks in unlimited amounts. You may have it within the limited quantities. When you drink tea or coffee, make sure that you do not add any sugar to it. If you need it sweet, add only artificial sweeteners into it. This reduces the calories that you take in. Make sure that you drink at least 2 liters of water per day when you follow this diet. If you prefer to drink lemonade, remember that you can use only one lemon per day as long as you follow this diet. Never use cooking oil when you are on HCG diet. You can use spices that do not increase the calorie content in your diet. Salt, pepper, mustard and parsley are some such spices. The fruits that you have with lunch and dinner may be eaten as snacks. You may take vitamins with this diet. However, you must avoid taking in gummy vitamins or candy vitamins which may contain added nutrients. When you follow this diet, you must take in potassium and magnesium supplements as well. Try to avoid using too much of makeup when you are on this diet. Using flavored lipsticks and lip balms are also not recommended. After every 4 or 5 days of following this diet, you may have a break from this diet. When you take break from this diet pan, you may consume high protein foods like steak and nuts, as well as vegetables that are low in calorie. Spinach is a good choice during these days. You can also use cooking oil during these days. Eggs are not usually allowed, but vegetarians can have the white of an egg as a replacement for meat. You are not allowed to consume dairy products like yogurt and milk, as well as bread. These days are referred to as high protein days, as you are on a high protein diet during these days. High protein days are recommended only after you have successfully lost 2 pounds of your weight. Protein consumption is recommended to the dieters to prevent starvation and muscle loss. You are also allowed to consume fresh fish, except tuna. Consumption of turkey is not entertained as it can lead to tiredness and bloating. After you lose weight steadily for a few weeks, you will find that this diet suddenly stops working. To solve this problem, have apple for a day. On this day, you may continue with the HCG diet, but try to have 6 large apples also. You can have the apples at any time of the day you prefer. Avoid taking tea or coffee these days. The amount of water you take in should also be limited. Take in only that much of water which is enough to quench your thirst. Even though HCG diet is beneficial for achieving short term weight loss, it is said to have some negative effects also. Using these prescription drugs may cause some side effects like depression, headaches, restlessness and so on. There is also the risk of formation of blood clots in the body. It may also cause a fatal disease called Ovarian hyper stimulation syndrome. The low calorie diet may cause grave danger to the body as human body needs at least 1000 to 1500 calories per day. A low calorie diet without HCG can starve the body. As a result, the body is unable to respond to the nutrients that it gets per day. This may lead to gain in weight rather than loss in wight as the body is unable to handle low calories diet. HCG injections are used to combat this problem. HCG treatment is expensive. Studies have shown that people who followed a low calorie diet, in general, were equally successful in losing weight as those who underwent HCG treatment. It is also not clear whether the weight loss can be maintained after the treatment.